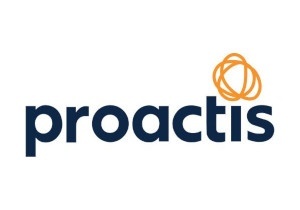 Proactis P2P solutions streamline the purchase-to-pay process by enabling organisations to eliminate manual invoice administration, speed up invoice matching and approvals and gain control of 'after-the-event' purchase claims. The latest release, v17, has a multitude of new features and enhancements that are designed to make everything you do even easier, faster and more consistent. Watch our overview of Proactis p2P v17, where we run-through all the updates to the solution. Streamlined navigation, crisp new screen design, intuitive interaction, foundation for future user experience, consistent across all applications. Fully web-based, report scheduling and email delivery, easy report creation and customisation, access to data throughout the Proactis suite, consistent across all applications. Increased performance, simplified system administration, simplified technical, system management, no functional impact on end users. Access to a world of suppliers, configurable to the suppliers and contracts you want to use, flexible Proactis P2P connection options. Consistent quarterly update cadence for all applications, continued managed process for cloud and hosted deployments, enhanced release notes for P2P. Fill in the short form above to view the webinar recording.